Dual process theories postulate the existence of two levels of processing, Type 1, which uses belief-based cues to make very rapid inferences, and Type 2, which uses more conscious, working memory-based processes that are, in principle, capable of making rule-based judgments. There is a common assumption that Type 1 processes are more rapidly produced, while Type 2 processes take more time. Evidence for this assumption is mixed. 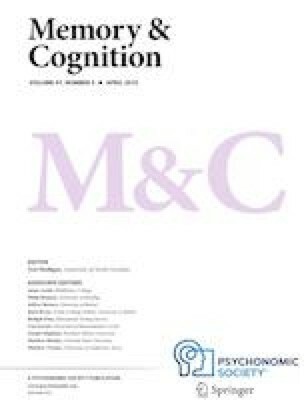 Recently, Newman, Gibb, and Thompson (Journal of Experimental Psychology: Learning, Memory, and Cognition, 43(7): 1154, 2017) have provided clear evidence that very fast responses use a combination of both belief-based and rule-based cues. In these studies, we initially replicated this basic result with adults using a different methodology and extended them to examine in greater detail patterns of change with restricted time. The results also show the same combination of rule-based and belief-based cues in fast responses, and suggest that time constraints differentially affect each form of cue. We then examined the developmental pattern of both fast and slow responding. Children aged between 8 and 10 years of age were examined using the methodology of the initial study. Results show that both developmental patterns and the effect of reduced time on children produce parallel changes in both belief-based and rule-based responding. These results suggest the existence of two simultaneously developing processes, consistent with a dual-strategy model of reasoning. This study was supported by a Discovery grant from the Natural Sciences and Engineering Research Council of Canada to HM. The data and materials for all experiments are available on demand and none of the experiments was preregistered. If there is lightning, then there is noise. If someone falls in a river, then they will drown. Jean fell in a river. If a candle is lit, then there will be light. If an object is put into a fire, it will explode. An object is put into a fire. All dogs have lungs in order to breathe. Caramel has lungs in order to breathe. All birds swim in water. This drink is a coffee. All trains work on steam. If a ball is thrown in a window, then the window will break. A ball was thrown in the window. If there is a banana skin on the sidewalk, it is slippery. There is a banana skin on the sidewalk. If a fire is lit, then there is smoke. If a person is hosed by a fireman, then they will be wet. The person was hosed by a fireman. All dogs are domestic animals. Riki is a domestic animal. All airplanes serve alcoholic beverages. A place serves alcoholic beverages. This place is an airplane. This place is a school. All lawnmowers have a motor. This object has a motor. If there is lightning, then there is a forest fire. Conclusion: there is a forest fire. If someone falls in a river, then they will be wet. If a candle is lit, then there will be a party. If an object is put into a fire, it will be hot. All dogs are guides for blind people. Caramel is a guide for blind people. All birds fly in the air. Castello flies in the air. All trains travel on rails. If a sofa is thrown in a window, then the window will break. A sofa was thrown in the window. If there is place on the sidewalk, it is slippery. There is ice on the sidewalk. If there is a factory, then there is smoke. If a person walks in the rain, then they will be wet. The person walked in the rain. All snakes are domestic animals. Tofu is a domestic animal. All bars serve alcoholic beverages. This place is a bar. All shooting clubs offer courses. This place is a shooting club. All cars have a motor. This object is a car.